As you may have heard, the state of Ohio is currently working on legislation that would enforce a proposed gas tax increase of anywhere from 10 to 18 cents per gallon of gas, with a higher tax rate on diesel. The rationale behind this tax is that more money is needed in the budget to repair roads throughout the state. While I believe that spending money on roads and bridges is a vital and important use of tax-payer dollars, I do not think that increasing and expanding government is the proper way to address this situation. When our Ohio families encounter an increase in their expenses, they cannot simply go to their employer and demand a pay-increase. Instead, they reevaluate their spending and adjust their budget accordingly. I think government should operate the same way, evaluating and altering other areas of the budget to address the need. Sadly, I am in the minority on this as the bill did pass the Ohio House and is now awaiting potential changes in the Senate. And please don’t be fooled by the diesel tax. This is a hidden tax that affects all Ohioans and is often the target of higher taxation. This is the case since most of us don’t directly see the increase occur. Think about how your gallon of milk, cartons of eggs, or six pack of beer gets to the local grocery. These items are all delivered by diesel trucks and the increased cost of delivery is passed on to our local stores in the form of a “fuel surcharge” on the invoices. The stores in turn, compensate for this loss by adjusting the product pricing. This means that a diesel tax increase will raise the out-of-pocket cost of all of our products in the state of Ohio, directly impacting your personal budget. In addition to this, the diesel tax also hampers business activity in Ohio with increased transportation costs, decreasing job creation in our state. While the gas tax increase was being debated in the House, I suggested that we decrease the burden on Ohio tax-payers in some other area of government, for example, lower the income tax so there is a zero change in Ohioan’s paychecks. As someone who has observed our state’s budget firsthand, I firmly believe that there are areas where the government can reduce spending. I am hopeful that the Ohio House and the Ohio Senate can agree to a more efficient proposal that is advantageous for all Ohioans. A gas tax increase may be needed, but not at the cost of increasing the size of government and decreasing the size of our Ohio paychecks. 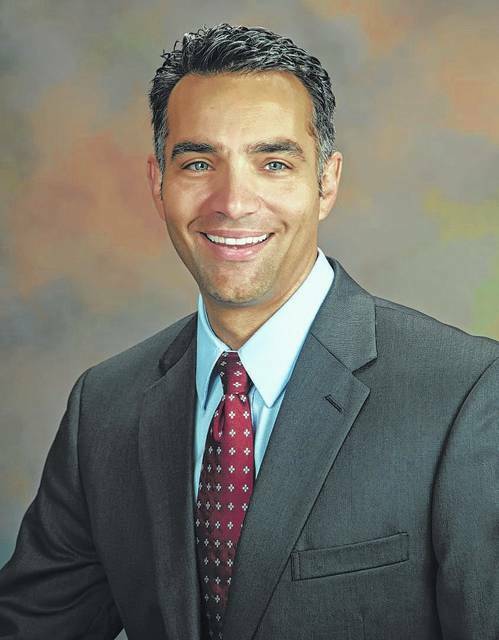 Nino Vitale is the State Representative for Champaign and parts of Shelby and Logan Counties. He can be reached at rep85@ohiohouse.gov or 614-466-1506.